This article contains the information meant for Main Mission 5 Hope in Destiny 2. It also will contain some tips and tricks in completing the mission. Mission 5 Hope begins with the Guardian entering an abandoned rig where he must eliminate the thralls to free the station. However, as he investigates the station, he finds that there is much more there is to realize. At the end of Mission 5 Hope, his intention is to get Zavala and Sloane onboard the station. Don’t let them get close. Kite around them and take them down with a headshot. However, players can opt to use melee attacks if they get too close. 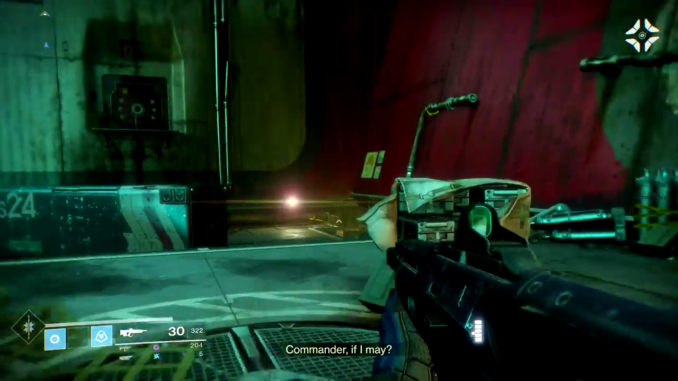 Enter the next room to fight more Hive Thralls. However, there’s more room to navigate around which makes it easy for you to go with a hit-and-run strategy. After killing the Hive Thralls, bank right at the massive pipes to enter another room. Unfortunately, there are more Hive Thralls waiting for you. Leave the rig by finding a new platform. Jump across the gaps until reaching the Poelruiter Rig. Pick off the Hive Acolytes one by one to prevent getting swarmed. Upon reaching the next room, you’ll find yourself standing on top of a floor fan. Kill the Thralls lurking around. You’ll encounter the Hive Acolytes soon after on the lower platform. After killing the Acolytes, make a left from where you landed before climbing the steps. And, then pass through the door ahead of you. There are more Hive Acolytes but the more dangerous one is the Hive Knight. If anything, the Hive Knight should be your main priority. Keep your distance as much as possible. The Hive Knight has a variety of weapons: Boomer, Shredder, and Cleaver. If the Hive Knight has a Boomer then, focus on long range but concentrated attacks on the Hive Knight. The Boomer has explosive rounds that have high rate of fire and have heavy splash damage. If the Hive Knight wields a Shredder then, they will try to stick to a certain range to prevent being overtaken. Stunlock them if you can while focusing their fire to prevent them from kiting around. If the Hive Knight is using a Cleaver then, keep your distance. The cleaver will have the Hive Knight closing before barraging the player with sword strikes. Keep moving forward once all the enemies go down. Head right until you reach a new gantry that leads to the Sinking Docks with Siren’s Watch. After that, keep heading forward to the new area. Kill the pack of thralls lying around. If you have a rocket launcher, now would be a good time to use it. Watch out for the Acolytes, Thralls, and Knights. 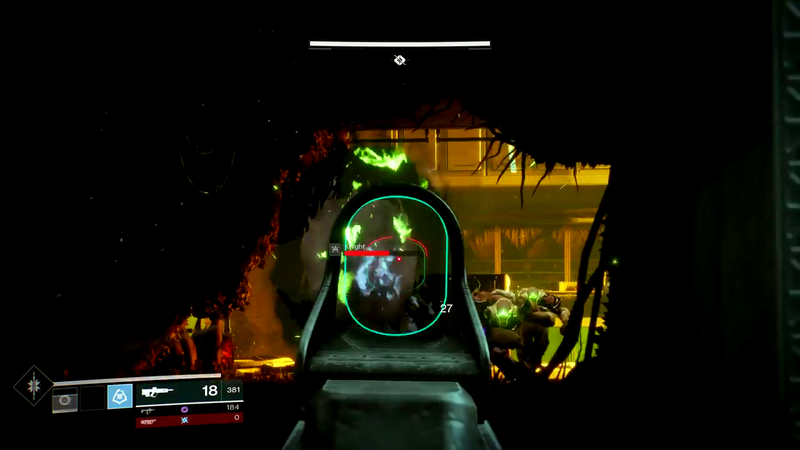 Acolytes: Headshot them immediately. Their blasts will corner you and force you to make a mistake. Thralls: While they’re not high on threat, their many numbers can drive you into a corner. Knights: Keep your distance, wreck the shield, and make sure you don’t take a hit. Fight it similarly the same way you defeated the first Hive Knight. Also, take note of the weapon. It can grant you a serious advantage especially in zoning and timing one’s attacks. Use the Grenade Launcher to blow the egg sacs. It may have a delayed rate of fire so make sure you hide while throwing a grenade. Head up and go through the tunnel. Kill all the Hive enemies inside. Watch out for the Acolyte and the Hive Knight running around. The grenade launcher can make short work. But if they catch sight of you, peel them off one by one to prevent yourself getting shot. Get the high ground if you can to snipe them off. At first sight, Ubara does look a little intimidating especially if one would follow the Dark Souls rule: smaller meaning meaner. However, what makes him intimidating is the multiple acolytes following him and he can be finished with two strikes of a Super attack coming from an Arcstrider. After defeating Ubara, it marks the end of the Mission 5 Hope with Zavala and Sloane entering the area.